Can Rey Vargas fill the void left by Marquez? By Gerardo Granados: This Saturday night on August 26 at the StubHub Center, Carson, California, the newly crowned WBC super-bantam belt holder Rey Vargas will make his first defense against Ronny Rios. Last February, Rey won his title against Gavin McDowell showing good skills and ring smarts to control the fight in which he even made remember Ricardo Finito Lopez. Occasionally we get to see a boxer that catches our attention. Yes, of course, at times we don’t get what we were expecting but for sure it is great to have high expectations towards a boxer when you think that he can achieve big things in pro boxing. I wonder if Ray Vargas is the next great boxer trained by Nacho Beristain. The last time I was so interested in a boxer it didn’t turned out as I expected, none the less when I first saw the boxer that I am referring to he was only an 18 years old kid and now he enters his prime and is one of the current big names not only in Mexican boxing but also is worldwide attraction. Ignacio Beristain has trained some of the very best Mexican boxers and he keeps on pushing forward to increase his legacy. Beristain often builds his boxers with smart technical habits, polished fundamentals and on times you can see similarities in their boxing stance and punch combinations. The names of Gilberto Roman and Daniel Zaragoza are inserted in the name of his famous gym in Mexico City named RomanZa. Beristain also trained hall of fame members Ricardo Finito Lopez, Daniel Zaragoza and Humberto Chiquita Gonzalez, also trained Rafael Marquez and the recently retired and a first ballot election to the hall of fame Juan Manuel Marquez. When I saw Vargas fight against McDowell, I had glimpses of seeing Finito Lopez inside the ring. No, I am not crazy. It was because of the way Rey walks in the ring, his guard, jab, the movement and combinations taking advantage of his height and reach. I have high hopes that Rey Vargas will become the heir of the attention from the Mexican fan base. Rey Vargas with a record of 29 wins no loses no draws and 22 knockouts, height 7´2 1/2 “, reach 70 ½ “, has the potential to dominate the super bantam division but first he must challenge the division Champion Guillermo Chacal Rigondeaux to legitimize his Champion status. I told a friend that I see a lot of talent in Vargas but for sure it is too soon to know how far he can go. Maybe with the recent retirement of Juan Manuel Marquez, now I am looking for the next great Mexican fighter that can fill the void left by the last great Mexican warrior. Perhaps the reader thinks that a hyped spoon-fed boxer already has taken Marquez´s place. But the reader cannot deny that Vargas has enough talent to be able to succeed. Maybe the reader doesn’t know Rey Vargas yet. Perhaps you are more interested in a circus bout. But do you think that Rey Vargas can fill the void left by Juan Manuel Marquez? « Is the Top Rank stable enough for Terence Crawford? 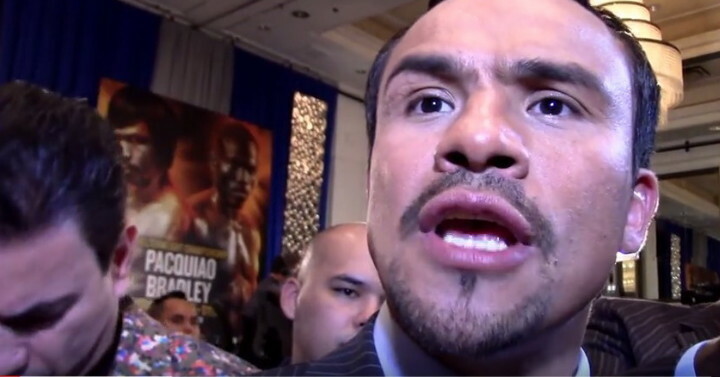 Boxing » Juan Manuel Marquez » Can Rey Vargas fill the void left by Marquez?